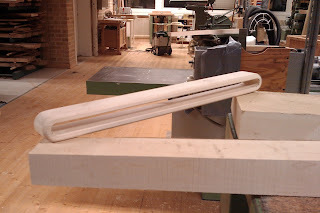 Bachelor Steneby: Finally gettting some work done! Finally gettting some work done! These are the tests that I have been carrying out to see how I want the details of the chair to look like. Above is what the chair seat will look like. 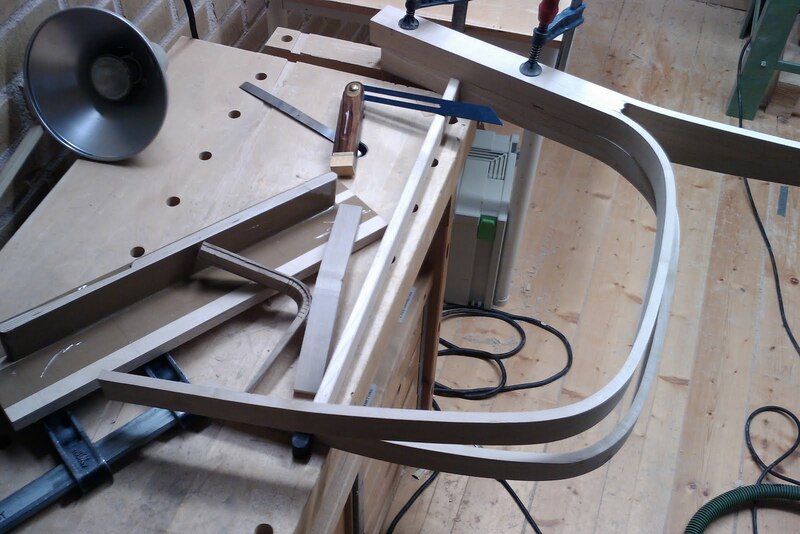 They will go over the sides to create a ribbed chair. 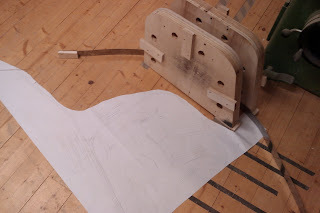 I am using old test pieces to look at how I will put the stretcher on the sides (the steam bending will not make the curve solid enough for it too keep it's shape, so I need the stretcher to keep it in place). This is the side view of the chair and the steam bending mould for the seat. 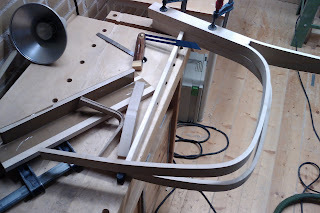 Tomorrow morning I will be steam bending, so I will hopefully have the beginning of my chairs. And this is what happens when I can't focus. I go to the workshop and do something different. So this stool is an experiment in light weight furniture. 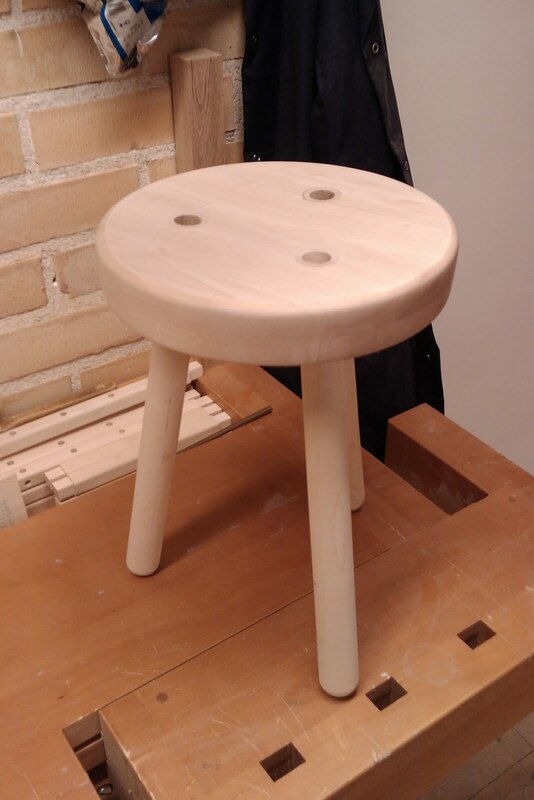 It's a stool made out of local grown maple. It's hollow in the legs and also the seat. I wanted to give the stool a heavy look, but really it was light. A sort of trompe-l'oeil. The stool weighs 900grammes. More to come soon! idag är det en månad kvar till examination!